Auburn City Pools strives to bring quality aquatics programs to Auburn residents. 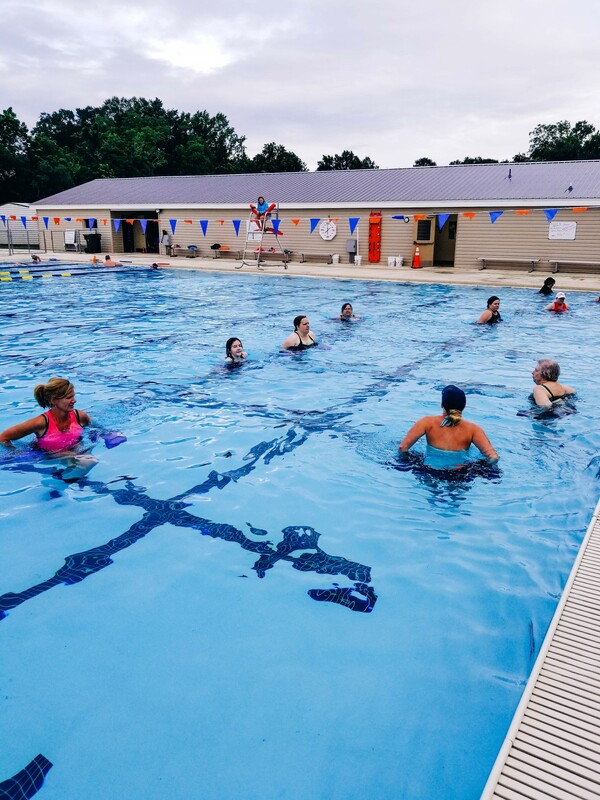 During the 2018 season, Auburn City Pools offered Learn to Dive, Scuba, Swimming for Fitness and Water Aerobics. Class descriptions for AquaZumba, Learn to Dive, Scuba and Water Aerobics may be found below. ]To learn more about our summer swim lessons, please click here. Auburn University Head Diving Coach and 2004 USA Olympic Diving Coach Jeff Shaffer is offering Beginner, Intermediate and Advanced diving lessons during the summer months at Samford Pool. Diving classes will be offered monthly for children age 7 and older. Classes will emphasize diving safety and introduce pre-competitive diving skills. Beginner to advanced diving lessons are available. This program offers structured lessons and skill progressions for pre-competitive diving skills. Students should be prepared to jump, flip, flop, fly and have fun! All participants must register with the Amateur Athletic Union ($14 for one-year membership). To register with AAU, please click here. The Auburn Diving Club code is # WWDBBW. To view class dates, days and times, please click here. To learn more about the Auburn Diving Team, please click here. For more information, please contact Jeff Shaffer at (334) 887 - 2818. Advanced Diving Classes and team practices are offered based upon demonstration of diving experience and skills. Please contact Coach Shaffer for further information and tryout times. Learn to enjoy the other two-thirds of our planet! Enjoy the action-packed sport of scuba diving. Classes are taught through Adventure Sports. Equipment (air tanks, regulators, buoyancy compensator - B.C. 's, air fills) is provided through Adventure Sports. Students must provide personal gear for class: masks, fins, weight belt and textbook packet. All items are available at Adventure Sports. The cost for class is $225 per participant (includes online textbooks) - payable to Adventure Sports - and open water certification dives to Florida are extra. Classes are held on Tuesdays from 6 - 9 p.m. at Samford Pool (with some classes at Auburn University). Participants must be age 12 or older. For more information, please contact Adventure Sports at (334) 887 - 8005 or adventurescuba@bellsouth.net. Beat the heat and get in shape! All fitness levels can benefit from Water Aerobics, a fun class designed to improve muscle tone, flexibility and heart and lung capacity. Because this is a low impact workout, stress to joints is minimized. All exercises are performed to music in water that is 4 - 5 feet deep. Participants are encouraged to wear inexpensive water shoes to protect their feet while jogging in the water. Swimming ability is not required and life vests are available. $25 for 10 classes; $50 for 20 classes; or $3/class. Payable to INST. Saturday class days are subject to change. For more information, please contact the instructor, Mallory Wilson, at (334) 488 – 4098 or mlwilson@auburn.vcom.edu.